The real way to generate income. The development of Internet technologies has made it possible to generate income when trading in financial markets. Now many people already know about trading in the Forex market, and how to earn money here. And with the growing number of brokerage companies, there are also growing opportunities for those who want to earn, but do not know how. Today we will talk about one of the opportunities to start trading in financial markets without solid investments. 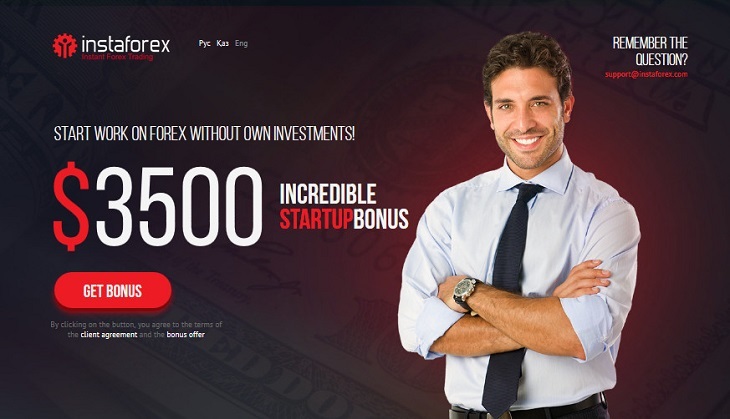 No deposit bonus InstaForex (StartUp Bonus) offers already today to try their hand at trading. How does this happen? Let's figure it out. First, let's explore the very concept of "no deposit bonus". 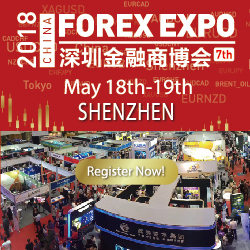 In general, the use of bonus programs by Forex brokers is currently one of the main marketing moves to attract customers. Such bonuses include bonuses for replenishment, as well as bonuses that do not require replenishment of the trading account. 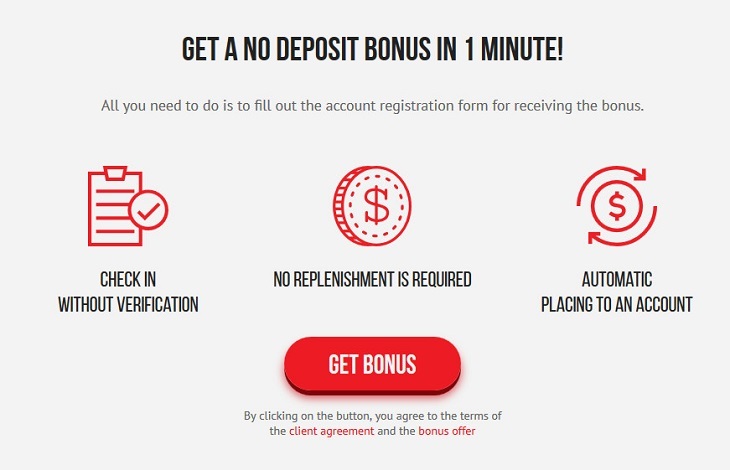 What is meant by a no deposit bonus? First of all, this is an opportunity to start trading in the foreign exchange market without investing your own funds. That is, a trader opens an account, and the broker charges him a deposit of a certain amount from his own funds within the bonus program. That is, in this case, when trading a trader does not risk his capital. In the second turn, it makes it possible to earn own capital, which can later be used both to continue trading, and to withdraw this money from the trading account. Not bad, is not it? But is it possible to consider InstaForex a serious forex dealer to start cooperation with it? Let's do a research. When researching a broker, the time of his activity in the market of services is important. InstaForex Company was established in 2007. Initially, the brand was represented by one company. At present, this is already a whole financial holding company with a substantial amount of financial resources. Another important point, which is worth paying attention to when researching a broker, is the control of financial regulators. Today, companies that are part of InstaForex GC are licensed by such regulators as CySEC (Republic of Cyprus) and BVI FSC (British Virgin Islands). Thus, we can conclude that the InstaForex broker is the intermediary with which it is possible and necessary to cooperate. Let's now return to the program that offers no deposit bonus InstaForex. What does the broker offer to its clients? And how to become a member of this program? Any new user who opened a trading account with a broker can become a member of the StartUp Bonus program. In addition, if a client has an inactive account or trade in the account was maintained, but as a result, the funds were lost and trading ceased, such a customer also has the right to receive the specified bonus. The offer is valid for current accounts, which were registered in the period starting June 10, 2017, in the currency of USD. Accounts MT5 and cent accounts are excluded from participation in the action. Those traders who are users of the previous bonus can not participate in the program. Opening the bonus account, the user must indicate his name, first name and patronymic as in a personal document (passport). Otherwise, problems will arise later, and changes in the information about the identity of the client are prohibited by the rules of the action. It should be noted that for different regions a different bonus size is provided. For residents of European countries, the amount of bonus funds is $3,500, for the Asian countries $1,500. So do not be surprised that the bonus amount can be different. The broker does not set time limits for the use of bonus funds. So do not take hasty decisions, but rather go to trade seriously and competently. Features of the use of the bonus. Before taking part in this action broker, you need to study the special features of using the StartUp bonus when trading. Do not be scared, there is no fraudulent activity. Simply provided bonus funds are the property of a brokerage company that establishes its own rules for shares. The rules of the action say that a broker may, at his discretion, limit or fix the profit earned as a result of trading on bonus funds, in the amount of 10% of the amount . In addition, the administration of the broker for the further use of the received profit can offer to replenish the trading account with the trader's own funds . For this refill, an additional bonus of 30% is added to the replenishment amount. All these nuances must be taken into account if you decided to participate in the stock of StartUp Bonus broker InstaForex . All profits, which were obtained as a result of trading on the bonus funds available for withdrawal, subject to certain requirements. Immediately it is worth noting that this profit will be 10% of the amount of bonus funds. For example, for Indonesians this amount will be $150 (10% of the amount of $1,500). What will be needed to withdraw this profit? First, it is to deposit on the new trading account an amount equal to the amount of the profit received. That is $150 for Asian traders. The next step is the need to make a trade turnover in the amount of the amount of profit multiplied by three. In our case, $150 is multiplied by 3 and we get the required volume of 450 lots. This terrible number is actually equal to 45 standard lots. The stake in InstaForex is equal to 0.1 classic lot in 100000 units of base currency. In addition, let's add to the balance of the trading account an additional 30% of the amount of replenishment with own funds, which the company charges. And then you can see that to work out a volume of 45 lots does not seem so unrealistic. Another useful and necessary moment of the StartUp Bonus campaign will be free access to the system of copying signals. According to the rules of participation in the promotion, bonus funds can not be used to invest in the PAMM-accounts system, however, it is allowed to apply copying transactions to the ForexCopy system. The ForexCopy system is a social trading program where each participant can be both a provider and a consumer of trading signals. In this case, we are more interested in the ability to copy other people's signals for trading in bonus funds and withdrawing the profits. Having opened a bonus account, a trader can connect to the ForexCopy system. To do this, in the rating of signal providers it is necessary to select those who successfully trade and profit, connect to their trading accounts and automatically copy transactions to their trading account. You can see that the participant of the action through the ForexCopy system gets the opportunity not only to earn profits, to work out the necessary trading volume, but also has access to qualitative and profitable trading signals. InstaForex's no deposit bonus can be a good opportunity to start trading in the Forex market for beginning traders. But even more experienced can also try their hand at this program, while using the company's funds. Well, free access to the system of social trading ForexCopy also helps to get profitable signals. All in your hands!